A cash prize awarded to one artist. This is a short residency open to non-UK based artists. This prize will include travel and accommodation to use Northern Print’s printmaking studio in Newcastle upon Tyne. An opportunity for a UK based artist to work with Paupers Press in London to develop and create a new work which would be launched during The London Original Print Fair at the Royal Academy in 2017. Accommodation and travel are not included. The winning print will be included in the V&A’s collection and featured on the V&A’s website with text about the print by Gill Saunders, Senior Curator (Prints). Note: Please be aware that the artist of the winning print will be required to donate their print to the V&A collection. An opportunity for an artist to explore techniques in glass and print supported by specialist staff using National Glass Centre’s extensive production facilities (i.e. screenprinting, kilnforming, waterjet cutting, hot glass and sandblasting). This prize will support the costs of travel within the UK, accommodation and materials. An editorial feature in the UK’s most prestigious print magazine. This prize is voted for by the public from a shortlist selected by Printmaking Today. We are proud to announce the selectors for the 2016 International Print Awards as: Christiane Baumgartner, Artist; David Cleaton-Roberts, Alan Cristea Gallery; and Sune Nordgren, Writer and Curator. For further information on each of the selectors, please go to the Downloads/Links page. Christiane Baumgartner was born in Leipzig, Germany, and studied at the Hochschule fur Grafik and Buchkunst before completing her Masters in Printmaking at the Royal College of Art in London in 1999. 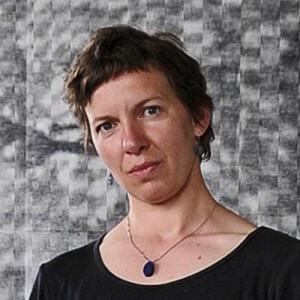 Her work is held in over 30 public collections around the world and she was recently awarded the prestigious Mario Avati Printmaking Prize by the Académie des beaux-arts, Paris. 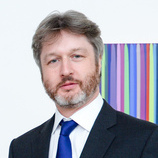 David Cleaton-Roberts is Director of the Alan Cristea Gallery, a leading commercial contemporary gallery in London. The gallery is the primary representative for a number of established international contemporary artists, artists' estates and emerging artists and the largest publisher of contemporary editions and prints in Europe. Sune Nordgren studied at the Forum School for Graphic Art, Malmo, Sweden, and Economic History and Art History at Lund University (1969-74). Until 1990 he was editor of Kalejdoskop, a review for contemporary art and publisher. 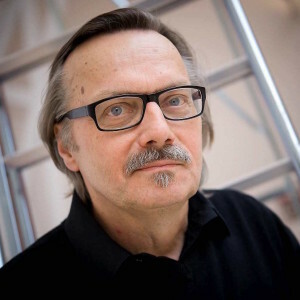 He is a founding director of BALTIC, The Centre for Contemporary Art in Gateshead, England. In addition to the selected artists’ work, the panel will also invite 3 artists to be represented in the exhibition. The 2016 invited artists are Marina Bindella (Italy), Cornelia Parker RA (UK) and Adam Saks (Denmark). Artists are invited to submit up to 10 images or documentation of their recent work, a series or sequence of works where the work encounters print. The selectors are aware that some work may not lend itself to reproduction and wish to reassure artists that there may be opportunities to view actual works. If appropriate, artists should explain in their statement how their work encounters print and if there are any site specific or installation requirements. Applications online should be paid through Stripe. Following the selection process, all artists will be notified of the Selectors’ decision by 1 July 2016. If for any reason artists have not heard by this date please contact Parker Harris either by email or telephone 01372 462190. The artists selected for final exhibition will be told which artworks will be exhibited by 22 July 2016. The artists selected for final exhibition will be notified by Parker Harris with the delivery details for their work. Selected work can be delivered either to the exhibition venues directly or to a London art carrier. Full details and dates for delivery will be sent to all selected artists. Selected artists are responsible for any costs associated with transporting their work to Northern Print for the Print Awards exhibitions; Northern Print will cover the costs of returning works to any artists unable to get to collection points in London or Newcastle. 163 queries in 0.437 seconds.